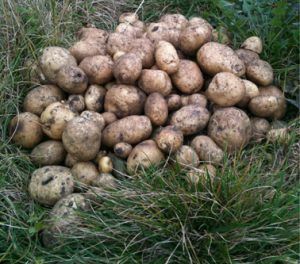 We have added a Resources for Members page which we will gradually fill with things that you may find useful when running an allotment. For example there are a collection of allotment advice leaflets from the National Allotment Society. 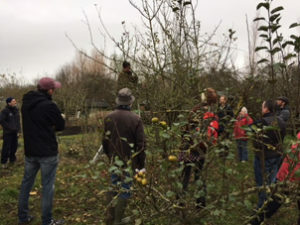 We had a wonderful time on Saturday 2nd attending a tree-pruning course at TPM organised by Gus and run by Chris Lanczak from Waterperry Gardens. Interest was so great that we may decide to run another one in the new year. If you are interested please contact the Secretary. The Allotment Association Committe minutes can now be found here. Sid stood down as Treasurer in October and Sheila Parry has taken over as Treasurer. A copy of the Association Rules was given to all plot holder when they called to pay their rent at the shop in September.? If you did not receive one the rules are available here. The Committee was asked to consider complaint relating to the use of urine on allotment plots.? RULING: The practice of applying urine directly to allotments (instead of using it to make compost) is considered uncivil behaviour ? breaking Allotment Rule 51 and causing neighbouring plot holders unnecessary distress ? and is therefore strictly prohibited. A summary of the Association Rules covering this (in English and in Mandarin) can be found here.